St Kilda is an inner suburb (neighbourhood) of the metropolitan area of Melbourne, Victoria, Australia, 6 km south-east of Melbourne's Central Business District. 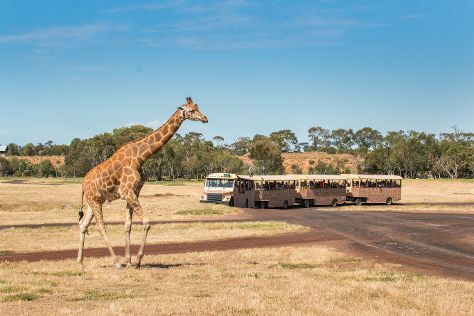 Explore the numerous day-trip ideas around St Kilda: Werribee (Werribee Open Range Zoo & Victoria State Rose Garden). The adventure continues: kick back and relax at St. Kilda Beach, make a trip to Brighton Bathing Boxes, examine the collection at Scienceworks, and tour the pleasant surroundings at Brighton Beach. To see photos, traveler tips, and tourist information, go to the St Kilda travel itinerary planner . Kuala Lumpur, Malaysia to St Kilda is an approximately 11.5-hour flight. You can also do a combination of bus and flight. The time zone difference moving from Malaysia Time to Australian Eastern Standard Time (Victoria) is 2 hours. Traveling from Kuala Lumpur in May, expect St Kilda to be colder, temps between 20°C and 10°C. Wrap up your sightseeing by early afternoon on the 4th (Sat) to allow enough time to travel back home.